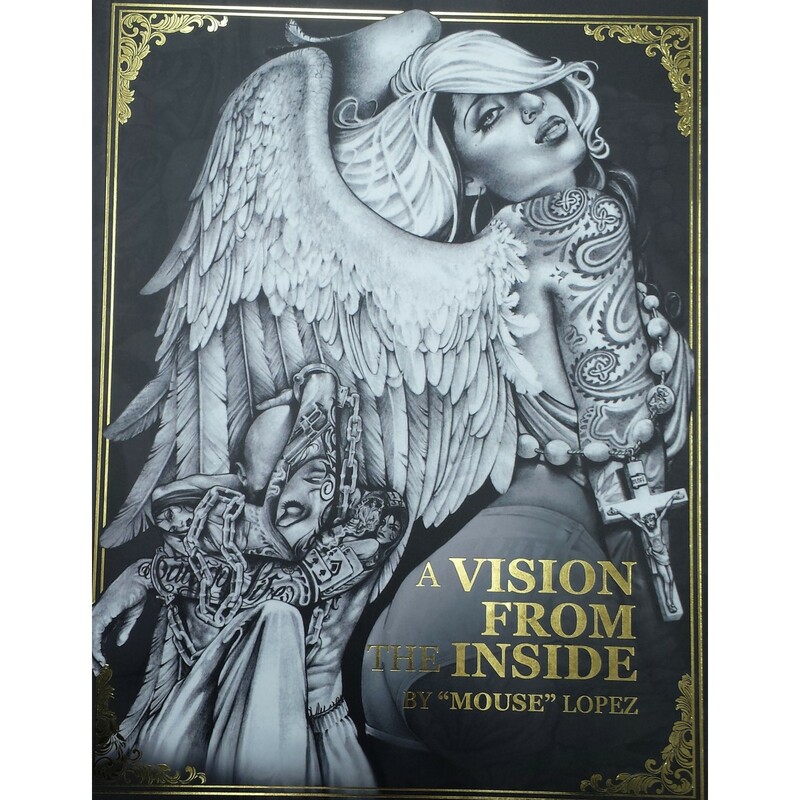 A wonderful book of 70 pages with never before seen collection of Chicano artwork accompanied with a full interview by Jaime “Mouse” Lopez. All done in ballpoint pen and pencil in his unique signature style. It is sure to inspire a new found level of creativity in your own tattooing and artwork. 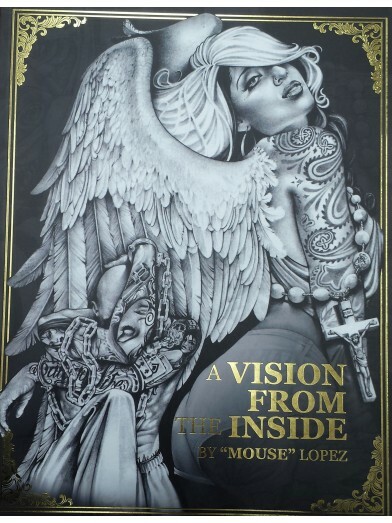 A wonderful book of 70 pages with never before seen collection of Chicano artwork accompanied with a full interview and pictures by Jaime “Mouse” Lopez. All of the artwork is done in ballpoint pen and pencil in his unique signature style. It is sure to inspire a new found level of creativity in your own tattooing and artwork.